Soldiers walking and patrolling, ready to fire. 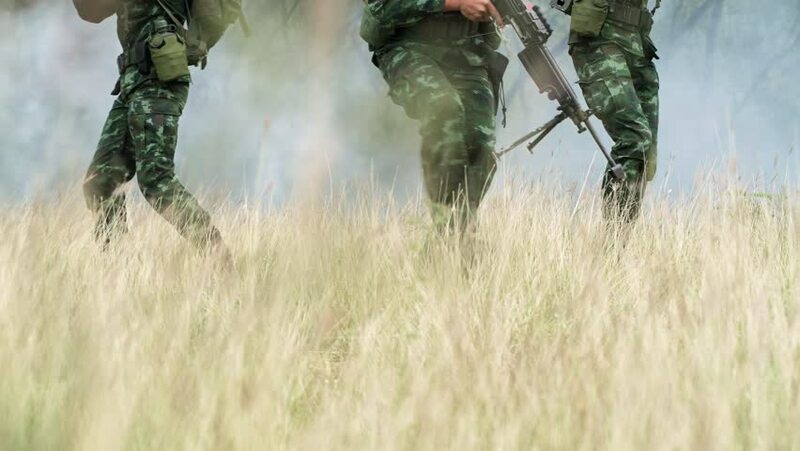 Chinese army soldiers with green camouflage uniform in high grass tropical jungle walking. Modern warfare and combat concept. hd00:25Waterfall from ravine. Philippines. Bohol. Aerial view. hd00:05Burning grass foliage heap with heavy dense smoke. Pollution fume contamination garbage environment concept. Vertical format video. hd00:13Soldiers walking and patrolling, ready to fire. Chinese army soldiers with green camouflage uniform in high grass tropical jungle walking. Modern warfare and combat concept. hd00:39Soldiers walking and patrolling, ready to fire. Chinese army soldiers with green camouflage uniform in high grass tropical jungle walking. Modern warfare and combat concept. 4k00:09Soldiers practice abseiling down a wooden platform. Group of chinese soldiers abseiling face first down fast. Anti terrorist training. 4k00:09Soldiers aiming their assault rifles in jungle. Chinese soldiers in jungle walking toward camera and aiming their weapons, special forces training. Ready to assault terrorist. Look up shot. hd00:12Slow motion of soldiers crawling on grass field. Three chinese special force soldiers crawling together on the grass land toward camera. hd00:16Slow motion of soldiers aiming their assault rifle on grass. Chinese soldiers on grass land walking away from camera and aiming their weapon, special forces training. Ready to assault terrorist. 4k00:11Soldiers aiming their assault rifle in jungle. Chinese soldiers in jungle walking toward camera in open grass land and aiming their weapon, special forces training. Panning shot.